Like this, but not this exact one. 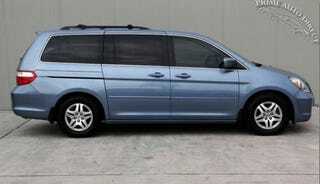 We have a blue Honda Odyssey with 200k on it that is being donated to a local public radio’s capital campaign on Monday. We bought it new 10 years ago, so it’s seen a lot with us. How do we send it off the right way? In over 10 years, it’s only let us down once.